Freeriding means focusing on the skiing. Walk as little as necessary to reach untouched beautiful ski lines and steep couloirs. 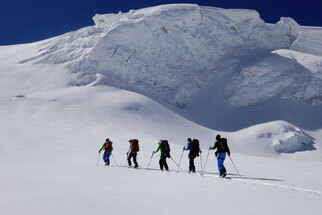 Ski touring is certainly the most impressive way to experience the Alps in winter. From easy one-day to challenging multi-day ski touring trips, every skier can find the perfect playground. 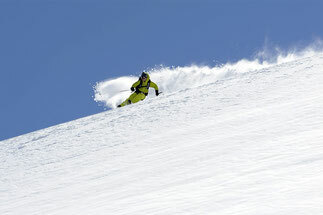 Are you dreaming of long ski runs in deep powder snow in an untouched winter landscape? Then a heliskiing day might be the right thing for you.